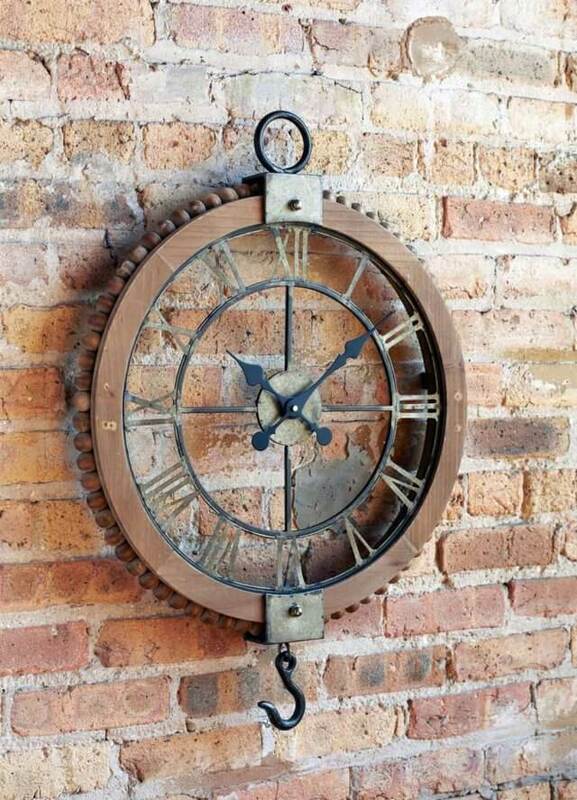 Large vintage look clock resembles an old fashioned gear. 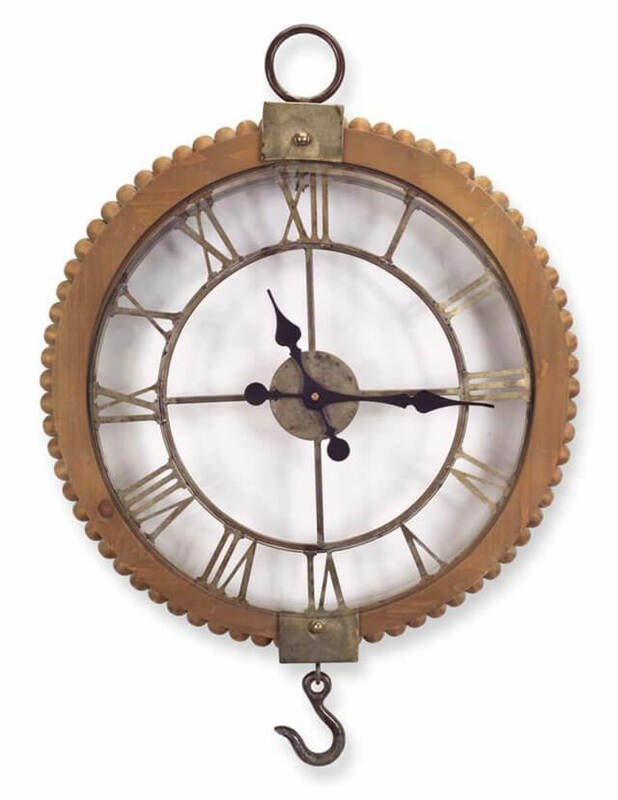 Handsomely crafted of wood with metal Roman numerals and hook. Lends a vintage vibe on a grand scale!